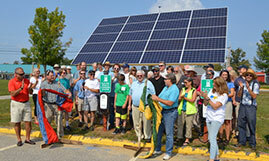 MDF is dedicated to making the Leadership Maine experience accessible to all Mainers. 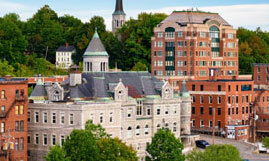 See the full Leadership Maine Program Schedule. Know someone who would benefit from Leadership Maine? Ready to learn how to help shape Maine’s future? 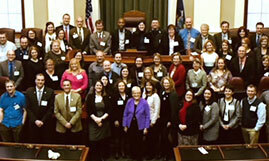 Apply to Leadership Maine. 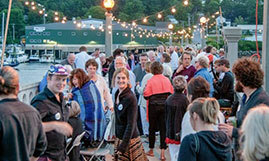 Leadership Maine alumni all have one thing in common: a passion to help move Maine forward. Develop important and lasting relationships with a diverse community of business, community, government and educational leaders. 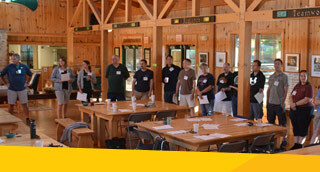 The Leadership Maine curriculum is designed for leaders from all sectors. Now in its 26th year, the program has graduated more than 1200 individuals who are leading the way in driving economic growth throughout Maine. 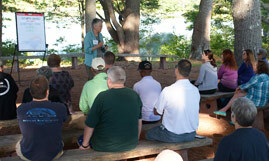 Each Leadership Maine class is given real-life challenges to address. Participants work in teams to address the assigned issue, connect with key stakeholders, organizations and groups, and develop a solution-oriented path with the goal of improving the economy.